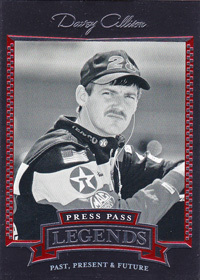 2005 Davey Allison - Press Pass Legends NASCAR Trading Card, by Press Pass. 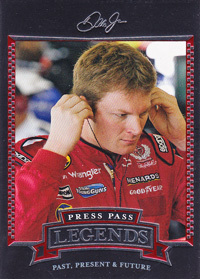 2005 Buddy Baker - Press Pass Legends NASCAR Trading Card, by Press Pass. 2005 Buddy Baker - Press Pass Legends Blue NASCAR Trading Card, by Press Pass. 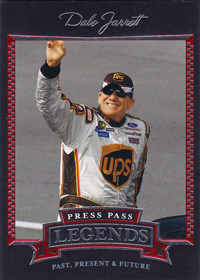 2005 Buddy Baker - Press Pass Legends Gold NASCAR Trading Card, by Press Pass. 2005 Kurt Busch - Press Pass Legends / 2004 Champion NASCAR Trading Card, by Press Pass. 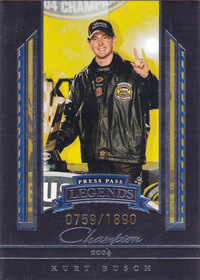 2005 Kurt Busch - Press Pass Legends Blue / 2004 Champion NASCAR Trading Card, by Press Pass. 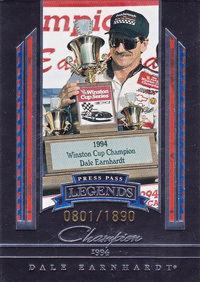 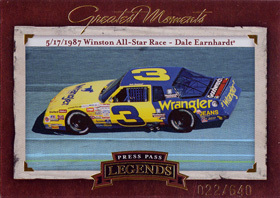 2005 Dale Earnhardt Jr - Press Pass Legends NASCAR Trading Card, by Press Pass. 2005 Dale Earnhardt Jr - Press Pass Legends Blue NASCAR Trading Card, by Press Pass. 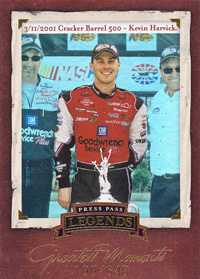 2005 Kevin Harvick - Press Pass Legends Greatest Moments / 2001 Atlanta Win - Cracker Barrel 500 NASCAR Trading Card, by Press Pass. 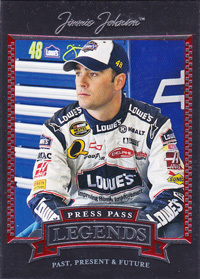 2005 Jimmie Johnson - Press Pass Legends NASCAR Trading Card, by Press Pass. 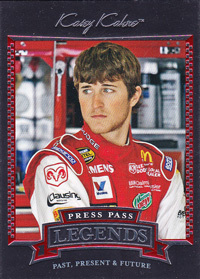 2005 Kasey Kahne - Press Pass Legends NASCAR Trading Card, by Press Pass. 2005 Kasey Kahne - Press Pass Legends Blue NASCAR Trading Card, by Press Pass. 2005 Kasey Kahne - Press Pass Legends Gold NASCAR Trading Card, by Press Pass. 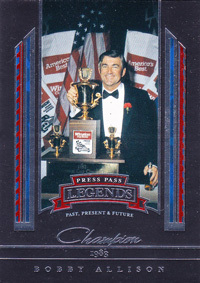 2005 Marvin Panch - Press Pass Legends NASCAR Trading Card, by Press Pass. 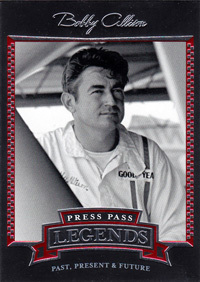 2005 Marvin Panch - Press Pass Legends Blue NASCAR Trading Card, by Press Pass. 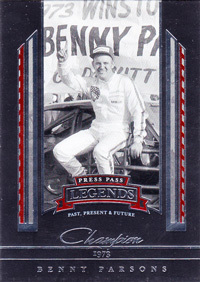 2005 Benny Parsons - Press Pass Legends NASCAR Trading Card, by Press Pass. 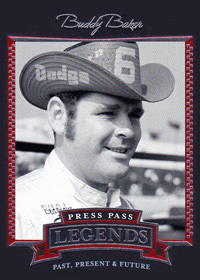 2005 Benny Parsons - Press Pass Legends Blue NASCAR Trading Card, by Press Pass. 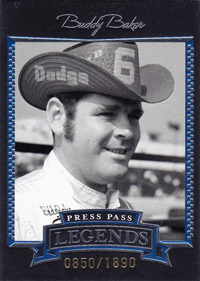 2005 Benny Parsons - Press Pass Legends / 1973 Champion NASCAR Trading Card, by Press Pass.